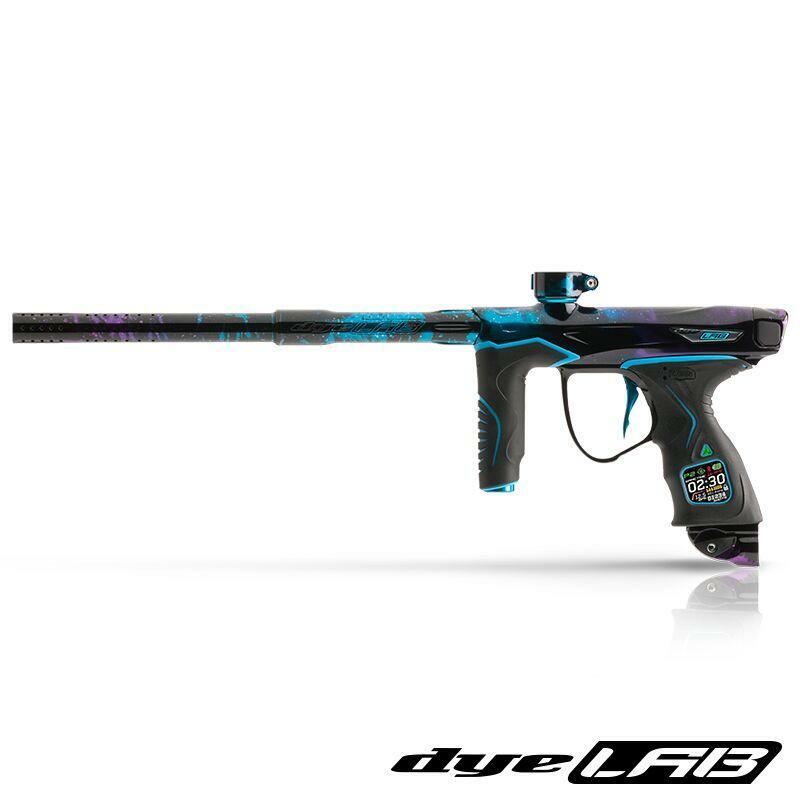 Introducing the second installment of products from the DYE LAB, a 1 of 10 DYE M3s Infinity marker with a bold new look that is aggressive, yet stylish. 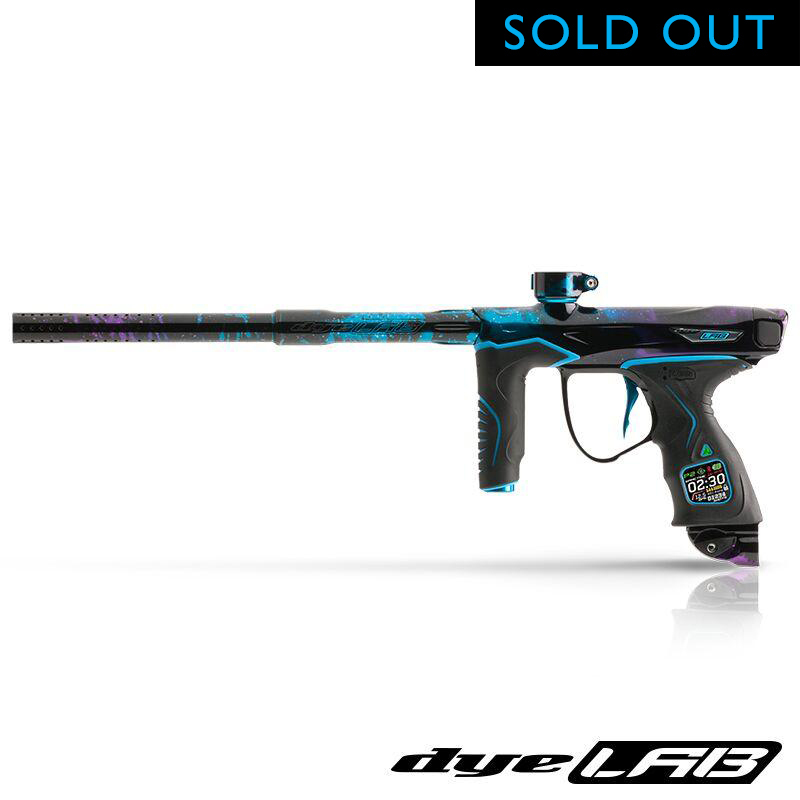 Extremely limited of only 10 markers available worldwide and only available from DYE LAB. 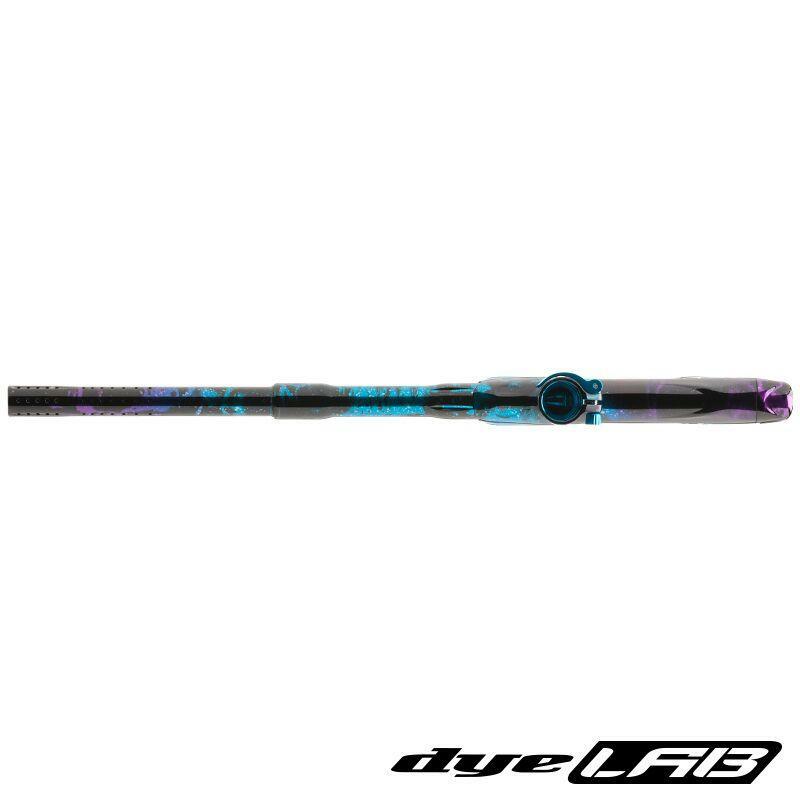 Stacked in your favor with all of the advanced performance features discovered in the all-new DYE M3s, this limited edition marker is striking from every angle with a unique and completely custom anodized design that includes a glossy black undertone paired with hues of purple and cyan topped off with subtle hints of white from end to end. The anodized pattern travels from the Fuse Legacy 21 Quick Release Bolt covering the low-profile body. Lockdwn2 clamping feed neck. UL 45 frame, Mag-reach trigger, Shiftport ASA, and down the matching newly updated UL barrel back and tip with custom engraving. 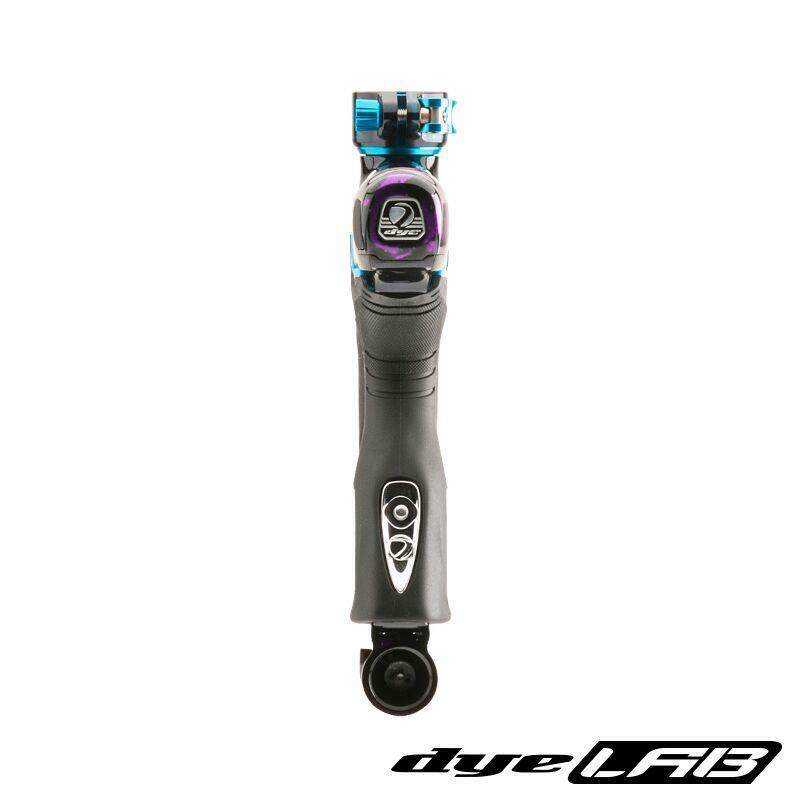 Whether you’re fine marker collector or want to have an exclusive limited edition market to dominate the field with, the DYE LAB Infinity M3s stand apart. The M3s is Performance Advanced. DYE’s M3s with MOSair is the pinnacle of performance and luxury. Based on the legendary DM series platform, the M3s has been meticulously deconstructed down to an elegant machine with uncompromised performance. The all new FL-21 Bolt sets a new standard for dependability and performance. Designed to operate across the widest range of extreme conditions, the FL-21 bolt provides unmatched performance, without sacrificing reliability. Unique to the M3s, dwell independence, and breech pressure insensitivity offer the user unequalled consistency, and the ability to shoot extremely fragile paint. The FL-21 Bolt also delivers superior air efficiency, and shot quality with its ultra-low operating pressure.The Hyper 6s Pro with coil spring, improved air dynamics, and simplified serviceability, breathes life into the M3s and FL-21 bolt. The 3rd gen Eye Pipe system, quick release bolt, and free wire connectors make service fast and effortless.The MOSair OS system provides intuitive navigation and control over precision tuning and vital real time feedback. Features like an internal pressure sensor, multiple player profiles, high contrast play screens, power control options,as well as Cable Free Charging, and wireless Air Sync are just a few examples of DYE’s commitment to innovation and the ultimate player experience. True to DYE’s design theory, the M3s’s ergonomic design is unparalleled. The UL frame hourglass design, full wrap dual density Sticky Grips, Mag Reach Trigger, and ShiftPort ASA, gives the player absolute comfort and control.The sharp cosmetic lines that flow uninterrupted across the M3s’s lean body, and the nearly endless performance features make DYE’s superior craftsmanship unmistakable. With extraordinary performance and comfort, the M3s is the definition of luxury performance in paintball. Weiterführende Links zu "M3s INFINITY"